Is it nearing the end of January already?! Valentine's Day is approaching which for some means adding an insane amount of red to your wardrobe. Our snarky side hates color coding holidays, but then we go ahead and do it anyway. 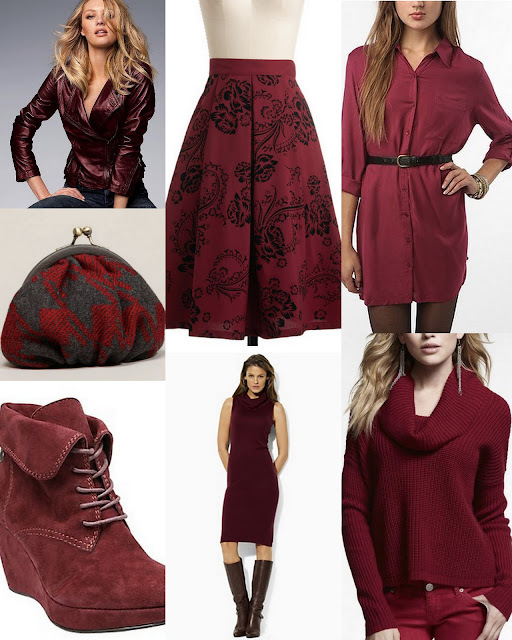 If you want to be a little festive but not seem over-the-top-weird, then forego the candy red and instead try on a deep, rich red / maroon / burgundy for a more mature and professional look. The rich full color adds drama to any outfit, but is still understated enough to wear in the office. Plus, the deep red hue tends to look good with every skin tone.